Looking to hone your skills over the winter to come out winning next spring? Starting this month, we are happy to announce a winter Whistling Ridge Farm clinic series with FEI Dressage professional rider and trainer, Jontelle Forbus! To learn more about Jontelle’s experience and her training program, please visit her website at www.jfdressage.com. 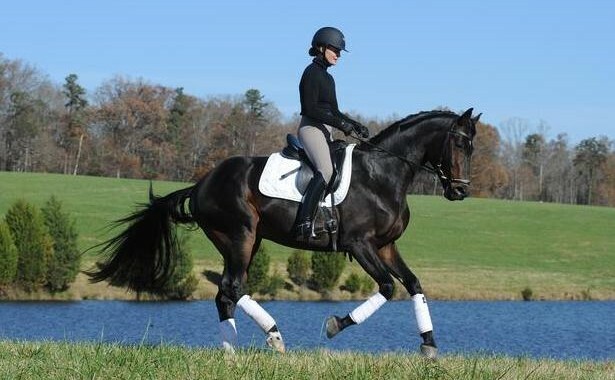 Jontelle brings a wealth of experience as she focuses on developing and producing top-quality horses and riders in the dressage discipline. Our first clinic will be held Saturday, November 28th, and the second date is Saturday, December 19th. *Special discounts will apply if you sign up for both clinics! There are a limited number of spots remaining, so please contact Lauren ASAP if you’d like to participate. To reserve a slot, please email Lauren for more details and send your check for $95.00 made payable to “Whistling Ridge Farm.” Until your check is received, the spot is open! This is a wonderful opportunity to learn from one of the up-and-coming dressage professionals in our area and keep your horse improving over the winter! Whistling Ridge Farm is conveniently located to Charlottesville, Crozet, North Garden, Waynesboro, and Staunton areas. For directions, please click here.